Opener Rahul hit a 47-ball 52, while Ashwin (2/24) smashed 17 off four balls in the last over and then took two crucial wickets with the ball. 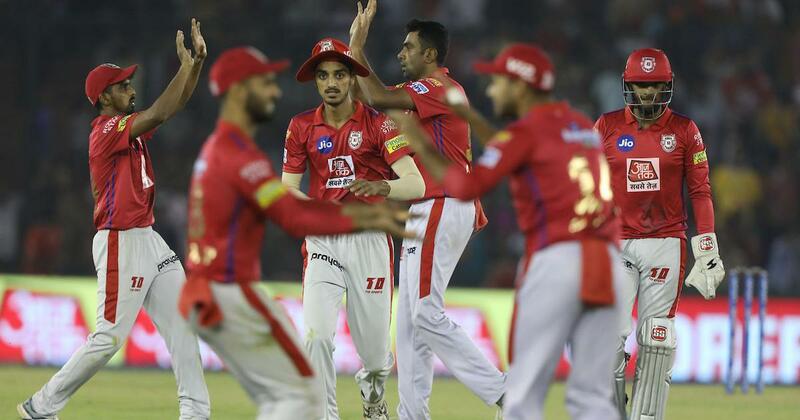 Skipper R Ashwin and opener KL Rahul played pivotal roles as Kings XI Punjab produced a superb all-round performance to script a comfortable 12-run win over Rajasthan Royals in an Indian Premier League clash in Mohali on Tuesday. KXIP brought their campaign back on track after back-to-back defeats while Royals suffered their sixth defeat in eight matches. Opener Rahul hit a 47-ball 52, while Ashwin (2/24) smashed 17 off four balls in the last over and then took two crucial wickets as KXIP bounced back to record their fifth win in this IPL. Invited to bat by Ajinkya, Rahul, who was named in India’s World Cup squad on Monday, and David Miller (40 off 27) shared a 85-run stand to lay the foundation. Ashwin then smashed a four and successive sixes in the last two balls to put KXIP in a strong position at the half-way stage. Their tally of 182 was the highest score of the season so far in Mohali. The hosts then returned to restrict Rajasthan to 168/7, courtesy some superb bowling by skipper Ashwin and his namesake M Ashwin (1/24) in the middle overs. Debutant Arshdeep Singh also impressed with two wickets. Mohammad Shami was expensive but came good in the final overs, finishing with two wickets. However, it was Rajasthan’s sixth loss and they will need to pull up their socks if they have to salvage any hopes of making it to the knockout stage. Defending the total, KXIP dismissed the big-hitting Jos Buttler (23) early as Rajasthan reached 55 in the first six over. After blasting two sixes and one four, Buttler was caught by keeper Pooran as young pacer Arshdeep registered his first IPL wicket. That dismissal also meant that the highly anticipated Buttler-Ashwin rematch did not happen after all. Promoted as an opener, Rahul Tripathi (50) along with Sanju Samson (27 off 21) added 59 runs to take Rajasthan close to the 100-mark. Needing 66 off last six overs, Tripathi completed his fifty in 44 balls before being caught at long off boundary by Agarwal off Ashwin. Australian Ashton Turner’s IPL debut ended with a first-ball naught, while Jofra Archer was sent back by Shami as RR slumped to 133/5 in 17.1 overs. Earlier, in-form Rahul played a controlled innings after he lost his opening partner Chris Gayle (30) before powerplay. Mayank Agarwal, who walked in after Gayle’s fall, looked dangerous but failed to last long. He made 26 of 12 balls and was claimed by RR’s New Zealand spinner Ish Sodhi as Punjab slipped to 67/2. In the 14th over, Rahul and Miller exploded after bringing up the hundred for KXIP. The duo amassed 19 runs off Sodhi’s over with Rahul smoking a massive six over deep square leg and Miller thumping one over long-off. The two batsmen piled up 20 runs in the next over with Rahul clearing point boundary with an inside-out shot for a six off Unadkat, and Miller disposing a full-toss over deep midwicket. Rahul was then picked up by medium pacer Jaidev Unadkat in the 18th over with the opener hitting straight to Archer at point. 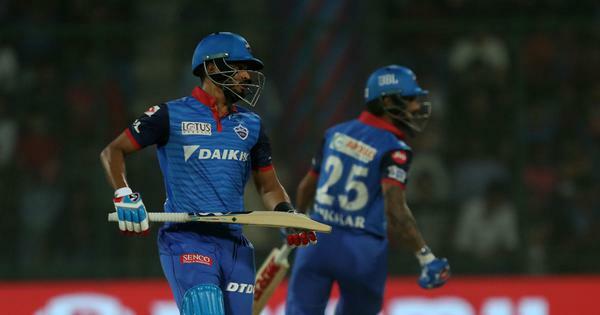 Punjab then lost Nicholas Pooran (5) and Mandeep Singh (0) – both claimed by Archer in his last over, while Miller too handed a catch to Buttler off Kulkarni in the 20th over as Punjab slipped to 164 for six. Ashwin then smashed a four and successive sixes in the last two balls to put KXIP in a strong position. His 4-ball 17 handed the momentum at the break to his side and they made the most of it in the second half to return to winnings ways. Captain Ashwin was declared player of the match for his all-round efforts — only the second time has been given the award in his IPL career.